As a leading subtitling company, we create professional and affordable subtitles for business and entertainment. 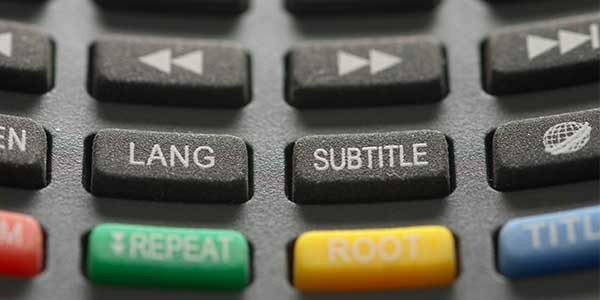 Whilst there are a plethora of subtitling companies in the UK, what makes our service stand out is our focus on quality. For example: the first step in any closed captioning or subtitling project is transcribing the speech. Most companies do this task using automatic transcription tools. It's much cheaper, but the quality suffers. We never rely on automatic transcription software for this task. It's not accurate enough, especially for business use or high-quality content for entertainment. At Voquent our transcriptions are all done by humans, trained to transcribe the speech accurately. 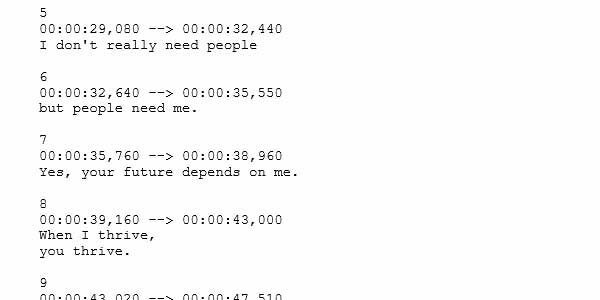 Then the transcript is condensed and divided into sections, normally 2 - 6 seconds in duration with a max character limit - the subtitles are born. Next, we sync the condensed transcript to the video in our editing software to check everything is timed up correctly. Often the subtitles need a bit more work to tidy up punctuation, refine timings and adjust the style. Then we create the SRT (SubRip) file, and unlike other subtitling companies, we will always provide you with an MP4 video file too. We'll burn-in the subtitles to the MP4 so you can see the subtitles in-situ. This makes it super easy for you to check the subtitles and request any amends. Example of the SRT subtitles, burnt-in for approval. Where quality is paramount and you want to ensure only the best native linguists are used for the work. We're well placed to help you. Check our positive Google Reviews. What's the difference between Closed Captions and Open Captions? Open Captions: are when subtitles are burnt-in i.e. encoded into the video file itself and can't be turned off. 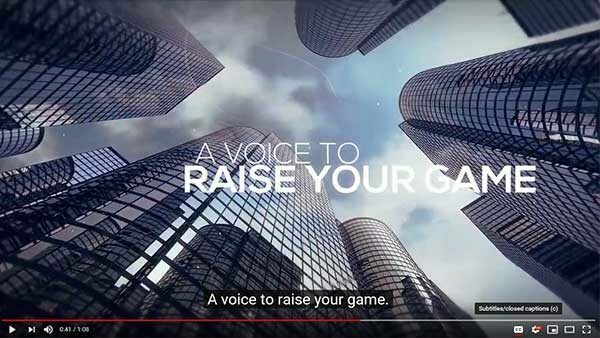 Open Captions are frequently used in business communications because there often isn't the facility to turn the captions on and off in the player. In entertainment they can be used for translating speech or for stylistic reasons. Closed Captions: are when the subtitles are in a text file format and can be turned off in the video player. 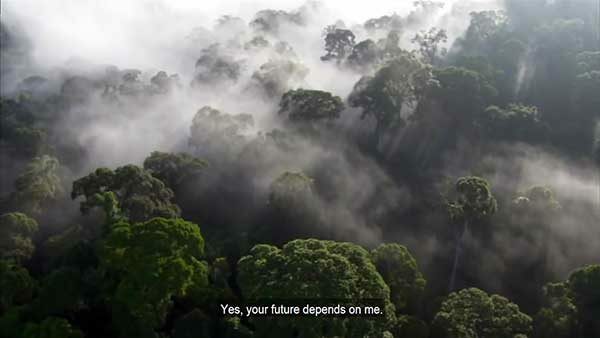 YouTube, Facebook and Vimeo all support open captions, as do Amazon Video, Netflix and more. Almost all video players support the SRT file format, which is why it's the most frequently used file format for subtitles. YouTube captions can be turned on / off i.e. they are Closed Captions. Share the video with us and tell us what you need the closed captions for. We'll confirm the price and turnaround. We produce the closed captions for the deaf and hard of hearing, or translate the captions for foreign audiences. We deliver the caption files as SRT or burn in to any video file format i.e. so the captions are 'hard coded' to the video. You may be wondering why a voice over agency is offering closed captioning services. Our producers frequently translate voice over scripts and produce foreign voice over audio. Over time, our customers have asked for our expertise to translate closed captions too. And quite organically this developed into a fully-fledged closed captioning service. 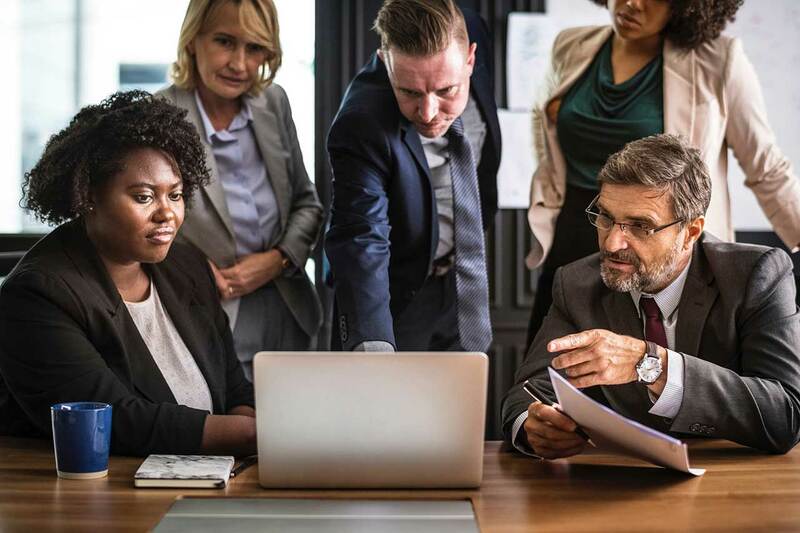 Voquent can create subtitles for video content of all shapes and sizes and our closed captioning services rates are excellent value, for business and film makers alike. Our team has created closed captions for all the major online platforms such as: Amazon video, Netflix, YouTube, Vimeo and more. We can also burn-in captions as subtitles, so they're hard coded into the video file. Most of the online subtitling services don't offer this but we have the video editing skills inhouse. We only use experienced, human subtitlers & captioners trained to the highest industry standards. We aim for 100% accuracy and if you're not satisfied with our closed captioning services, get your money back. If quality and turn-around time are important to you, our talented captioning team will add the human touch. Humour, colloquialisms and timing will all be given the creative treatment. The 'tone' of the closed captions, will match the tone of the speech and you'll have the highest possible quality closed captions.